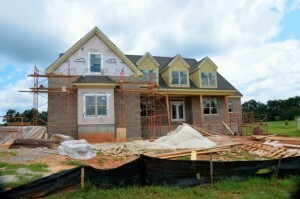 Building a new home is exciting! However, it can also be an overwhelming process. The following are 5 important considerations that a home builder should keep in mind prior to beginning. Take note of these tips to help simplify the process. How long do you plan on living in your new home? Determine if a 15 or 30 year mortgage is the right fit. Determine an adjustable or fixed rate loan. A professional loan officer will guide you through these questions. We all know that we want a builder with the best reputation. A great place to start is your friends, family, or co-workers. A referral is a great way to start with someone that has already demonstrated their professionalism and trustworthiness. Before signing a contract with any builder, it is imperative that you confirm that they are licensed, bonded, and insured. Curtis Borntrager, of Borntrager Homes Inc, always advises the homeowner to make sure they obtain documentation of all of the builder’s insurance – directly from their insurance agent; and have themselves listed as the Certificate Holder. In the off-chance that you need to file a claim on the Contractor’s policy, this certificate will provide the information to aid you in doing so. It’s easy to fall in love with a piece of property at first sight. When you find something you are looking for, you will just know it, right? It’s at this point that you must take a step back and look at all of the things that could potentially make your dream property/home a living nightmare. The number one complaint I hear from new homeowners is that their neighbor’s interests don’t line up with their own. Maybe you purchased your land as your dream hunting land – do the neighbors have dogs that they let run wild? Maybe you purchased it wishing to target shoot or ride ATV’s – are your neighbors into the same thing or will they potentially complain about the noise? Maybe you purchased it for the peace and quiet that comes from living in the country – are your neighbors the ones with chickens, or do they enjoy shooting or riding? At the end of the day, your property is yours and as long as it is legal you can do what you like on it. The same goes for your neighbors. A quick conversation early in the property searching process can help minimize these types of conflicts once your dream home is completed. During the course of construction, there are many things that could happen to a home. A storm could destroy the home or the materials; a thief could steal your appliances or building materials, or many other possible; albeit unlikely, scenarios could happen. A Builder’s Risk policy is a policy that covers you during these scenarios. In some cases the builder will purchase this policy, in other cases the homeowner will. Either way, it is your responsibility to ensure that a Builder’s Risk policy is purchased to protect your assets during the course of construction. Typically speaking, regardless of the style, construction, and location of your home; homeowners insurance is an affordable way to make sure that you can repair or replace your home in the event of a covered loss. However, did you know that not all homeowners insurance policies are created equal? Some companies offer price point policies – meaning they are simply trying to be the lowest price. Most often, these policies have Actual Cash Value, or “depreciated” value coverage; meaning the homeowner could be out thousands of dollars of their own money when they assumed their insurance company would cover them. Contact your friends at Stuible Insurance Group today to get a full insurance review, let us show you how affordable a personalized insurance policy can be! Stay up to date with news, tips and changes that might effect your coverage or rates! Leave us a Google+ Review! Please let us know how we are doing by leaving us a review.